Pittsburgh Veterinary Cardiology offers a wide range of services and procedures, some of which are listed below. Our primary diagnostic tool is the knowledge and expertise our doctors possess from advanced training and experience with a wide variety of critical, complicated, and chronic diseases. We attempt to provide both a diagnosis and treatment plan as quickly and efficiently as possible. 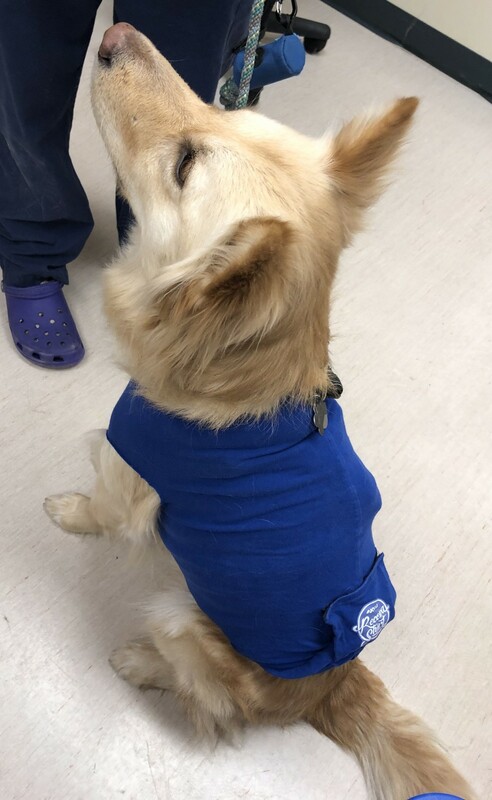 As a result, early referral of non-routine cases to Pittsburgh Veterinary Cardiology often saves both money and precious time. Our ultimate goal is to improve and extend your pet's quality of life. Echocardiography is the ultrasound of the heart. We use the latest, most advanced equipment to obtain images of your pet's heart and identify both the nature and severity of the problem. An ultrasound is non-invasive and not painful. We gently restrain your pet on his or her side as we obtain images of his/her heart and blood flow. Sedation is not required for most patients. Occasionally we have patients that are easily stressed and do not respond to reassurances despite our best efforts. In those cases, we have the ability to administer light sedation with your consent. ECG stands for electrocardiogram. This is the study of the electrical system of the heart. When we hear an irregular heart rhythm, an ECG is necessary to define where that abnormality is coming from. Like an echocardiogram, patients are not sedated for ECG. They are placed on their side and leads attached to their limbs record the ECG tracing. We also have the capacity to continuously monitor ECG in our hospitalized patients by equipping them with a monitor attached to our continuous telemetry unit. Monitors throughout the ICU, doctors work stations, and cardiology treatment area display this vital information. We also place Holter monitors on pets that they can wear home. This allow us to monitor their heart rate and rhythm over a longer period of time (generally 24 hours) in a non-urgent setting, while in the comfort of their own home. We use a Doppler machine to accurately and non-invasively measure your pet's blood pressure. Similar to human blood pressure measurements, this involves a cuff around your pet’s paw and is generally well tolerated. 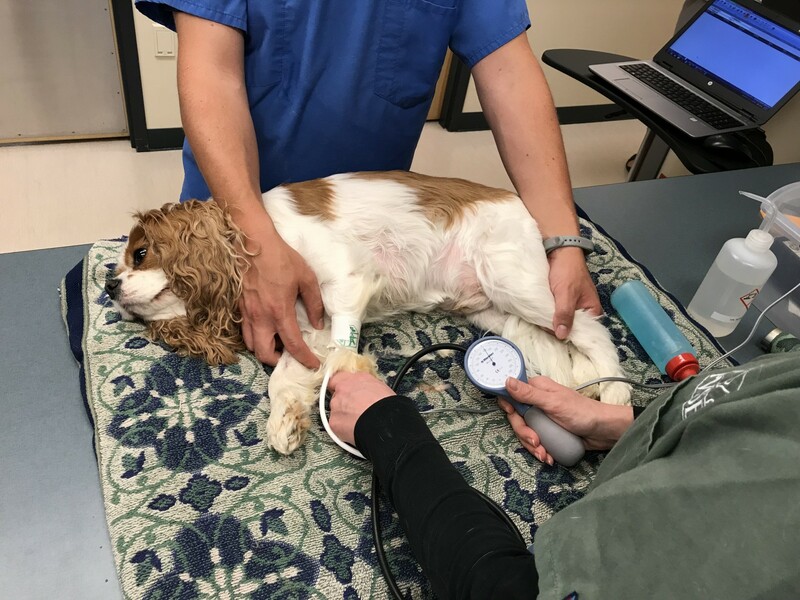 Doppler system offers a higher degree of accuracy over oscillometric machines used during anesthesia monitoring so we can obtain the most accurate reading of your pet's systolic blood pressure. Obtaining an accurate blood pressure is an important part of our diagnostic process and may influence the medications we choose for your pet's condition. Digital radiography is used in conjunction with echocardiography to assess the overall size and shape of the heart. It also allows the doctors to assess your pet's lungs and blood vessels in the lung. This information is important to determine if your pet has fluid build up in or around the lungs from congestive heart failure and to assess for any signs of airway disease. Digital radiographs also provide the advantage of being able to be emailed, which means we can provide your veterinarian with almost instantaneous results. 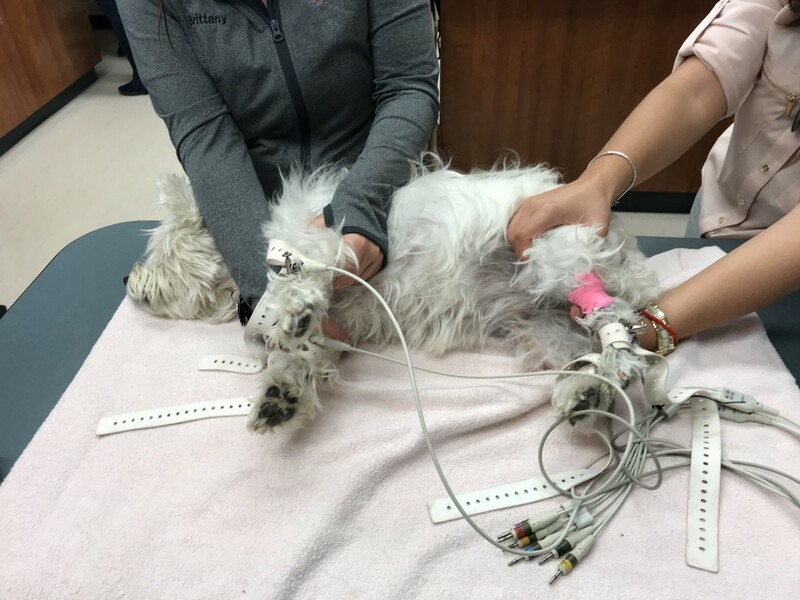 Because certain cardiac medications can have side effects on other organs, close monitoring of your pet's blood values will be an important part of their long term care. For your convenience, we offer routine laboratory work at your pet's visits to closely monitor him/her for any changes that may warrant an adjustment to their therapy. Fluoroscopy is a moving/”real-time” X-ray that allows the cardiologists to visualize the heart for various interventional procedures. We use fluoroscopy for the placement of pacemakers, balloon valvuloplasty procedures, and minimally invasive PDA occlusion. If your pet has a slower than normal heart rate due to disease of the conduction system, he or she may require an artificial pacemaker. This procedure is similar to that performed in humans. Under general anesthesia, a lead is placed within the heart under fluoroscopic guidance and it is attached to a battery (generator) under the skin in the neck. A pacemaker will generate a normal heart rate for your pet to prevent them from having associated symptoms like exercise intolerance, fainting spells, or congestive heart failure. In the vast majority of cases, pacemakers remain in place for life. Under rarer circumstances, they can be temporarily used to ensure an adequate heart rate through a transient condition or anesthetic event (don’t know if this is necessary either). PDA stands for patent ductus arteriosus. This is a birth defect whereby a vessel that connects the aorta to the main pulmonary artery fails to close and allows for over-circulation of blood through the lungs and body. If left untreated, it can lead to significant complications, including ~ 65% risk of congestive heart failure by one year of age. The cardiologists at Pittsburgh Veterinary Cardiology have the ability to close this defect using an Amplatz Canine Ductal Occluder. This is a specialized device that is implanted minimally invasively through a small incision on the inside of the thigh. If your pet was diagnosed with a PDA, have your pet's veterinarian contact our office to determine if this procedure would be an appropriate way of treating your pet. Another common birth defect is the abnormal formation of certain valves which prevents them from opening normally. In certain cases these fused valves can be helped with a procedure called a balloon dilation (valvuloplasty). This is done under fluoroscopic guidance with a small incision in the neck that allows the cardiologists to pass a balloon across the narrowed valve. By dilating an appropriately sized balloon in the proper spot, they can help to open the faulty valve further, thus improving blood flow and reducing the risk of future complications.